TOPIC: I can't use the admin-menu. 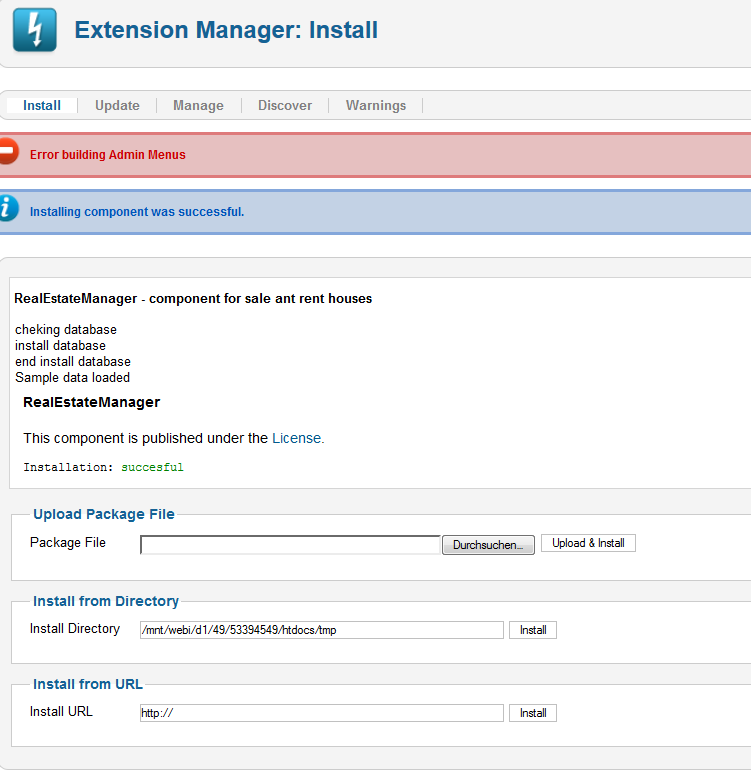 Unfortunately I have to deinstall the real-estate-manager, because it doesn't work. Now, I tried to reinstall the real-estate-manager, but I get only a fault message (see the screen-shot). Concurrently I get a further message: "The installation was successful..."
Nevertheless I can't use the admin-menu. Please go to database and remove all rows with RealEstateManager. Please check that for "extension" and menu "tables"